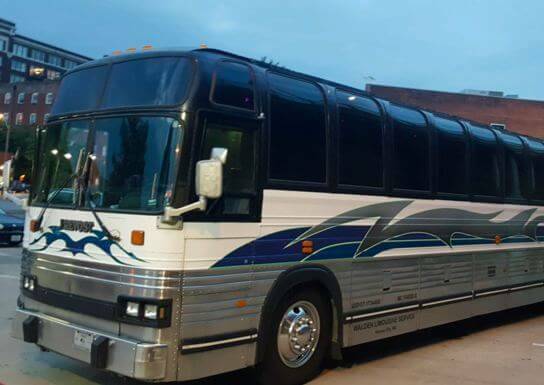 Kansas City's limousine and party bus rental company. Welcome to KC Night Train! 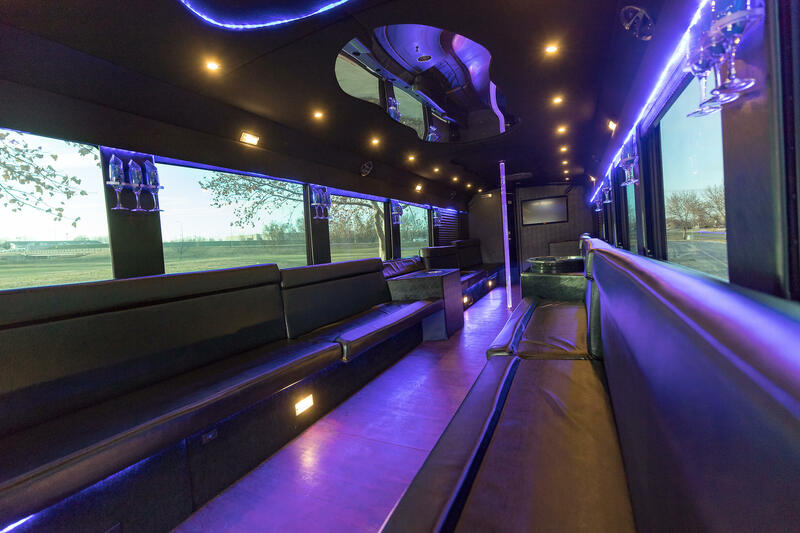 We are Kansas City’s premiere party bus and limousine rental company, specializing in all transportation needs: airport shuttle, bachelor and bachelorette party, pub crawl, birthday party, corporate event, tailgate party, and much more. 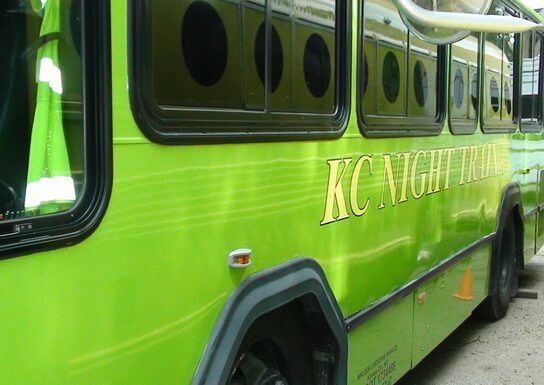 KC Night Train even provides a Kansas City metro area Party Bus & limo service. People most commonly use our services for birthday parties, anniversary, bachelor and bachelorette party, wedding transportation, wedding guest transportation, corporate event transportation , divorce parties, pub crawls, concert shuttles, tailgate party shuttles , group shuttle service , airport shuttle service, proms and school dances, charter service, wine tour transportation, brewery tour transportation, distilery / whiskey tour transportation, Quinceañera, holiday lighting tours, golf outings, and much more! Isn’t it time you let someone else do the driving? We offer the safest and most responsible way to party in Kansas City while providing you with top‐of‐the‐line amenities at a reasonable rate. 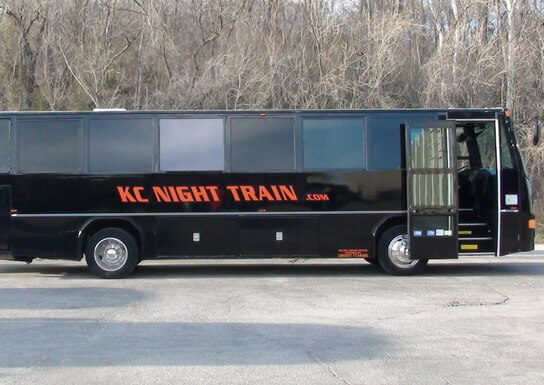 All of the KC Night Train party buses and limousines are less expensive than a DUI and a whole lot more fun! Please allow us to assist you with your next big event and all of your other transportation needs. Feel free to give Sean Walden a call with any questions at (816) 550‒7432. Some of our more popular destinations we tend to take our clients are the Power and Light District, Westport, The Country Club Plaza, along with many other popular destinations throughout KC. You will enjoy your ride to these fun destinations, in our luxury filled limo coach party bus. Some of our more popular destinations we tend to take our clients are the Power and Light District, Westport, The Country Club Plaza, along with many other popular destinations throughout KC. 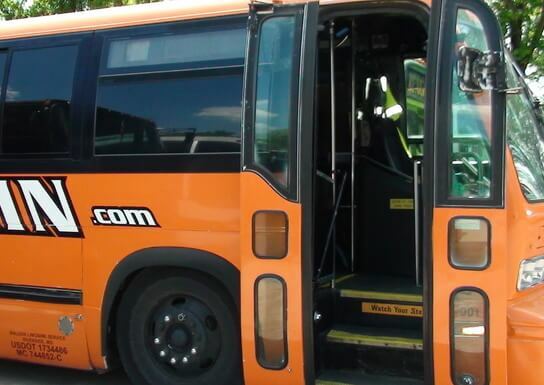 You will enjoy your ride to these fun destinations, in our luxury filled Orange Party Pus. The best part is that you can enjoy drinks all night long, as we will be waiting at the end of the night to take you home safely. 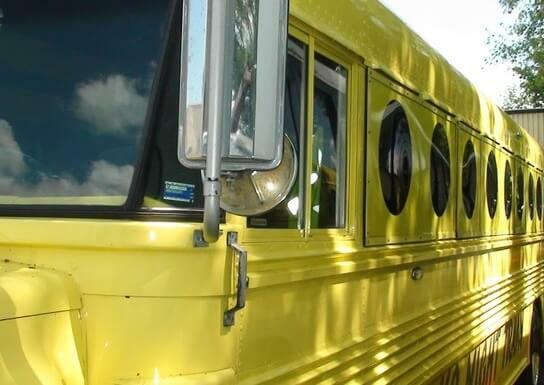 This luxury green party bus is the perfect ride for your night. Enjoy the game and atmosphere at Arrowhead along with a few drinks, as we will be waiting to take you home after the game. Taking a party bus to a bar or around Kansas City is a great way to enjoy the town to its fullest extent. Some of our more popular destinations we tend to take our clients are the Power and Light District, Westport, The Country Club Plaza, along with many other popular destinations throughout KC. You will enjoy your ride to these fun destinations, in our luxury filled Mellow Yellow Party Pus. We want you to sit back, relax and enjoy the ride. We have a fleet of limousines that are perfect for weddings. All of our white limos and Party Buses have beautiful exteriors, along with interiors that are full of fun amenities. We want you to sit back, relax and enjoy the ride. We have a fleet of limousines that are perfect for weddings, parties, and all celebrations. 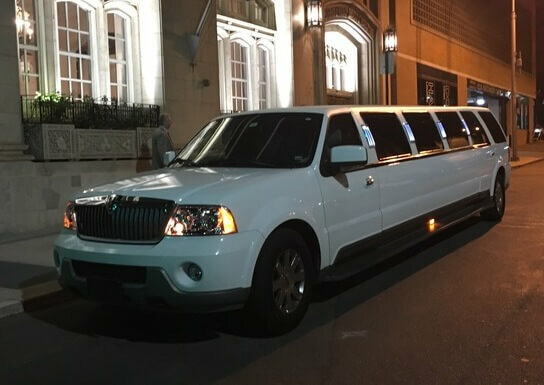 Our SUV limos and Party Buses have beautiful exteriors, along with interiors that are full of fun amenities. 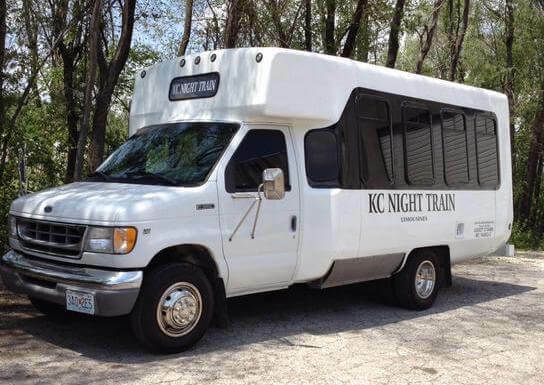 What better way to ride in comfort on those day/night trips and other destinations around Kansas City and the midwest. You will ALWAYS be riding in style! 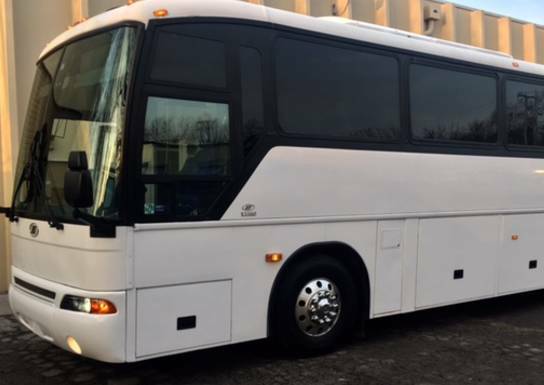 Our 40 passenger Ambassador limo bus is a great choice for groups who want to stretch out and relax in comfort and style! This bus’ interior is very comparable to a VIP section at an upscale lounge! 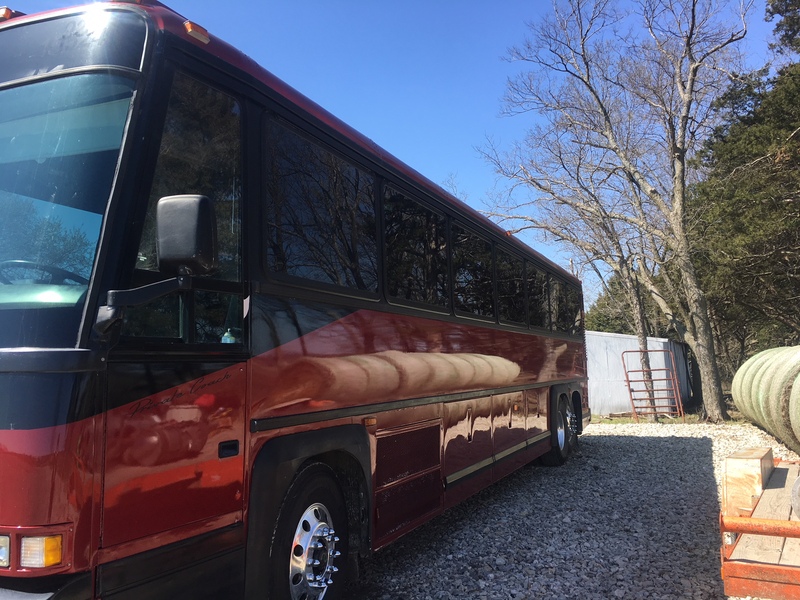 Search the US DOT FMCSA licensing and insurance database to determine if any party bus / limousine company (and their drivers) is in compliance with all government safety regulations.